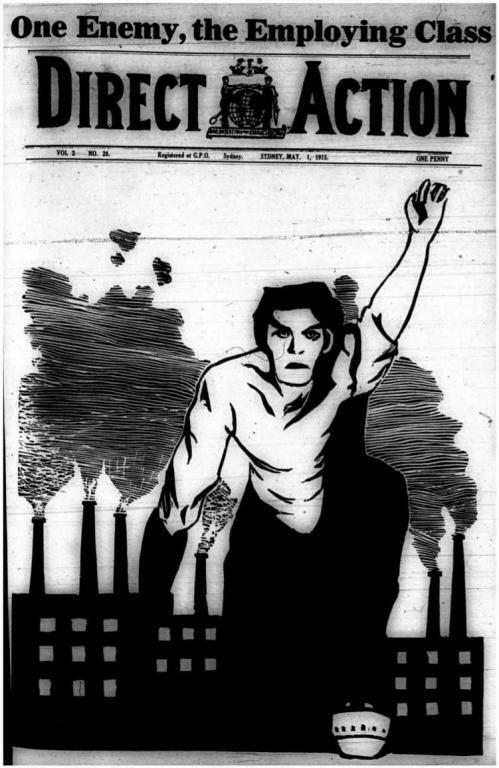 Direct Action was published by the Industrial Workers of the World Australian Administration. It printed 135 issues between January 1914 and August 1917. Twelve more issues were published between May 1928 and May 1929 and another two in November 1930. A history of the paper can be found here. This will take me a while but I found an archive of DA here http://jura.org.au/library/directaction looks complete. I'll be adding them here as and when I have time. Brilliant, thanks! Have added the publications tag here. Hmm for some reason I keep getting error messages when I try to add more issues. Nope still receiving the error, I tried making a child page to get around it and that didn't work either. Also I'm getting similar errors while trying to add attachments to other pages. Looks like you are being able to add more at the moment, is it going okay? So far its working again on here, but I still get the validation error on other pages. And I can't really do what you do since I'm adding attachments to existing articles.